NSF International announced the 2009 recipients of the sixth annual Food Safety Leadership Awards. NSF International is a not-for-profit public health and safety organization. Its Food Safety Leadership Awards (FSLA) Program recognizes influential individuals that have demonstrated outstanding leadership in the food industry. As part of NSF’s ongoing commitment to their mission of protecting and improving public health and safety, each year NSF recognizes outstanding contributions to the advancement of food safety. The goal of the program is to encourage individuals to develop innovative technology that enhance food safety efforts. Nominations were reviewed by an independent panel of experts in the food industry. The panel of jurors and NSF are honored to recognize the following award winners for their groundbreaking achievements. This year, NSF will present a lifetime achievement award, one award in the education and training category, and four in the system improvement category. As the Vice President of Research and Development for Hormel Foods (www.hormel.com), Dr. Minerich oversees product development, regulatory compliance and food safety. For over 32 years, he has worked within food production committed to improving the safety of our food supply. Dr. Minerich and his team have initiated a new food safety project that explores new applications for existing technologies, including researching all types of food safety interventions internationally, analyzing and validating scientific claims, and identifying how it would be useful for Hormel Foods product lines. A member of the Institute of Food Technologists (IFT), Dr. Minerich holds three patents for development of a pressure indicator for high hydrostatic pressure processing of foods, packaging methods and products, and a container for active microwave heating. To ensure a high standard of water, the main ingredient used in its products, the Coca-Cola Company (www.thecoca-colacompany.com) has moved beyond end-of-pipe treatment to modern risk management frameworks such as HACCP, a preventive approach used in the food industry to identify, reduce and eliminate potential food safety hazards. The Coca-Cola Company is also striving to promote Water Safety Plans as part of its Source Water Protection Standard, which requires each Coca-Cola division to develop a program that manages water quality and sustainability, and improves source water management practices across its expansive bottling system. By integrating this new approach, The Coca-Cola Company has partnered with the International Water Association, the Centers for Disease Control and Prevention and other agencies and universities dedicated to implementing risk management strategies that benefit consumers of piped water and packaged beverages. Steve Robinson is responsible for creating a groundbreaking food safety application that currently tracks freshly-harvested spinach from the point of harvest in the fields, through transport to processing and weigh scales, through weighing, through the flash cooling tubes, and into the cold storage warehouse. This food safety application for tracking food from its origins to shelf was found to reduce the amount of time it takes to trace a specific lot to its origin. Although Robinson concedes that this is not a permanent solution for preventing foodborne illness, it serves as an important safeguard to improve the response time and precise effectiveness to such threats, which could result in less people infected in the case of a foodborne illness outbreak. It also provides extensive operational feedback, which allows for process improvement, and a reduction in spoilage and recall volumes. Future plans call for extending the tracing system beyond the point of storage to include tracking the spinach all the way to the retail shelves. Over the past decade, Dr. Winter has developed a unique musical approach to spread critical food safety messages to hundreds of thousands of food safety educators, teachers, food handlers, health professionals and consumers. Dr. Winter received a grant from the U.S. Department of Agriculture (USDA) as the Principal Investigator for the project "Improving Food Safety Education through the Use of Music-Based Curricula.” Dr. Winter studies the effectiveness of incorporating music into food safety curricula that was developed for high school students, foodservice managers and supervisors, culinary arts teachers and students, family and consumer sciences teachers, and youth (8-12) enrolled in summer nutrition programs. The Greenville County School Food and Nutrition Services implemented a Health Hazard Analysis and Critical Control Points (HACCP) program in 86 schools and 12 satellite locations in the face of budget constraints, limited time and the challenge of training 650 employees across various locations. This was accomplished by organizing a training team that assessed each individual school. The training team consisted of eight foodservice managers that were given the responsibility to implement the food safety program across Greenville County. This highly-motivated team of professionals conducted trainings every six weeks until every school was equipped with properly-trained food safety workers and an effective HACCP program. As a result of the training, the scores in food safety audits have increased 12 points over a two-year period and critical non-conformances have decreased by 79 percent in the same period. Greenville County Schools Food Nutrition Services is being commended for their effective implementation of wide-reaching food safety program that not only helped increase awareness of the importance of food safety and improved quality, but it also increased communications between management and personnel at all school levels. Joseph Reardon directed the Castleberry Recall, the first public health recall in over 30 years where Clostridium botulinum has been identified as a causative agent between canned product and foodborne illness. His work to mobilize and deploy over 1,000 state personnel to 16,000 facilities in 15 days was executed with the urgency and organization that is crucial to effectively managing a public health crisis. As a result, Mr. Reardon and his team removed 35,000 cans of product from the shelves within three short weeks. Mr. Reardon’s staff provided a model for the prompt establishment of an Incident Command System during a food safety crisis through effective and streamlined communications and data collection using Web-based technology. He and his team made sure that the recalled product was not available for purchase across the entire State of North Carolina. Mary Adolf, former President and Chief Operating Officer, National Restaurant Association Education Foundation. John Farquharson, Founder and President of the International Food Safety Council, Executive Emeritus for ARAMARK Corporation, 2004 FSLA Lifetime Achievement Award Winner. Ernest Julian, Ph.D., Chief of the Office of Food Protection for the Rhode Island Department of Health, Past Chair of the Council of Public Health Consultants for NSF International. Ellen Laymon, Staff Supervisor for the Oregon Department of Agriculture Food Safety Division and member of the AFDO board. Ms. Layman has also served on the Western Association of Food and Drug Officials Board of Directors as Liaison to the AFDO Board of Directors. Vickie Lewandowski, President Elect, International Association for Food Protection (IAFP), Associate Principal Microbiologist for Kraft Foods Global Inc.
Jim Mann, Founder of the Handwashing Leadership Forum and creator of Handwashing For Life, Winner of the 2005 FSLA Lifetime Achievement Award for Service. 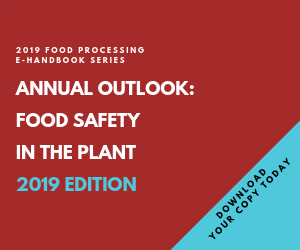 Donald Schaffner, Ph.D., Extension Specialist in Food Science and Professor at Rutgers University, Member of the IAFP, the Institute of Food Technologists, the Society for Risk Analysis and the American Society for Microbiology. David M. Theno, Ph.D., CEO of Gray Dog Partners, Inc. Foods Consulting Business, former Senior Vice President of Quality and Logistics for Jack-in-the-Box and member of the USDA National Advisory Committee on microbiological criteria for foods. Jack-in-the-Box was awarded the 2005 FSLA Award for Systems Improvement. Ewen C.D. Todd, Ph.D., Director of the Food Safety Policy Center at Michigan State University (MSU), Professor at MSU's National Food Safety & Toxicology Center, former Director of the National Food Safety and Toxicology Center, Chair of the Committee on Control of Foodborne Illness of the IAFP. Frank Yiannas, MPH, Vice President of Food Safety, Wal-Mart Stores, Inc., Former Director of Safety & Health, Walt Disney World Co., former President, IAFP, Recipient of 2007 FSLA Lifetime Achievement Award.